The Kimball design team created the fiXt product line. We’ve been seeing the influence of Maker Society and Craft impacting the design of today’s work environment. There are now lots of communal spaces where people gather informally to share information. The fiXt line consists of Occasional Tables, Work Tables, Standing-Height Tables, and a variety of seats, benches, and there also is a family of bookcases in various heights. We were looking to develop a line of tables with a resimercial feel. We wanted the look of raw crafted steel, with natural woods and finishes. The product utilizes the metal truss base and adds warmth with a variety of top options like plywood and butcher block; the inspiration was to bring a highly designed, functional product that could still support all different types of work modes and look beautiful doing so. The goal was to provide furniture options that would seamlessly integrate into a variety of flexible landscapes. We used laser-cut steel tubing to fabricate the legs, X-pattern, and inter-locking under-surface support. We offer a tig-welded frame with exposed welds and clear powder-coat finish as an option. The metal finish shows natural scuff marks, color variation, and welds to create a distinct character and patina. For the worksurfaces, we offer a substantial dimension Butcher Block option. The wood stave runs the entire length of the table top. We developed a technique to select random patterns of wood-grain, mixing plain slice and quarter-cut staves, with some sap, mineral, and heartwood and other natural variations to make sure that the worksurface displays much visual interest. In addition to the butcher block, there are multiple options for top and frame finishes and other details. The bench cushions feature contrast stitching that creates visual appeal with a unique “x” design sewn into the fabric. Are there any unique features that meet enhanced sustainability criteria? Cherry, Walnut, Oak, and Maple wood species are domestically grown and harvested from a sustainable forest. We see the blurring lines between workplace design and more “home-like” environments – was this a consideration in the design of this product? We wanted the tables, seating, and bookcases to have a casual, resimercial feel. fiXt occasional tables are intended to be used with lounge chairs and sofas. We also wanted the tables to have a mobile option allowing them to be freely moved within the space. We offer a Bluetooth Speaker-Phone that does not require the furniture to be tethered to a land-line. You pair it with your smart-phone, and it works anywhere. We think this product will work in any collaboration area that encourages creativity, group interaction and meeting places. Additionally, fiXt is perfect for café and dining spaces because of the range of available sizes and mobility options allowing for easy reconfiguration in any space. A year from now, what would be the most exciting thing you could learn about how fiXt has been specified and installed in projects? We are looking forward to seeing the fiXt product line utilized in different types of projects across the country. We genuinely believe the variety of options offers the opportunity to fit any application and environment. The multiple finish options give designers unlimited ability to tailor the product to the project. The design intent of the product portfolio is to provide a line that can work across an entire design project. 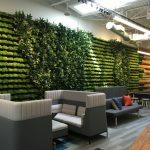 Because of the blending of highly tactile materials in this product offering, we have been able to create products for immersive and adaptive spaces that are being programmed for today’s offices – whether places for concentration or community, there is a product from fiXt that will meet the requirements for a comfortable and functional setting. Yes! fiXt became available as of March 19, 2018. Extensive product information is available here. We think readers will love the material options for the surfaces, frames, and cushion seats. We also believe they will appreciate how the bench and stool frames coordinate perfectly with the table frames. Kimball is known for offering quality products, and we think fiXt fills the bill for furniture with an urban flair that is starting to appear in the workplace! Please refer to the price list which is available here. We think fiXt offers a variety of options to meet today’s workplace needs. 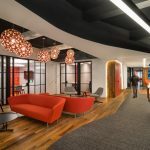 Its beautiful design backed by the durable features and material selections gives designers the opportunity to provide creative places for people to work. Where are you planning to exhibit fiXt besides Neocon? We will be featuring the product line, not only in our Chicago showroom at Neocon but in our regional showrooms around the US, as well.